Marriott is investigating a possible breach of one its customer databases, which contained the personal information and data of 500 million Starwood guests, including credit card and other payment details. While the incident appears to have happened in 2014, Marriott only recently discovered the breach after the company's IT team found an alert from a security tool in September. Following a two-month investigation, Marriott determined on November 19 that an unknown person or group had breached the network and accessed the customer data. The company then issued a statement on November 30, and announced a dedicated website that offers information and advice to Starwood customers. It's not clear how the breach occurred. However, Marriott noted that whoever gained access to the database encrypted the customer information as a way to remove it from the network. The company has since de-encrypted that data, which helped determine the size of the breach. All together, the database contained information on approximately 500 million guests who made reservations at a Starwood property. Hotels in this chain include Westin, Sheraton, The Luxury Collection, Four Points by Sheraton, W Hotels, St. Regis, Le Méridien, Aloft, Element, Tribute Portfolio and Design Hotels. The company also oversees timeshare properties. For 327 million customers, the compromised data includes their name, mailing address, phone number, email address, passport number, Starwood Preferred Guest ("SPG") account information, date of birth, gender, arrival and departure information, reservation date, and communication preferences. However, for an unspecified number of guests, the data also contained payment and credit card numbers, as well as expiration dates. The company noted that the numbers were encrypted using Advanced Encryption Standard encryption (AES-128). Still, the attacker or attackers could have compromised even the encrypted data. "There are two components needed to decrypt the payment card numbers, and at this point, Marriott has not been able to rule out the possibility that both were taken. For the remaining guests, the information was limited to name and sometimes other data such as mailing address, email address, or other information," according to Marriott's statement. Chris Morales, the head of security analytics at Vectra, noted that Marriott will face major complications from the breach, including possible violation of the European Union Data Protection Regulation (GDPR). 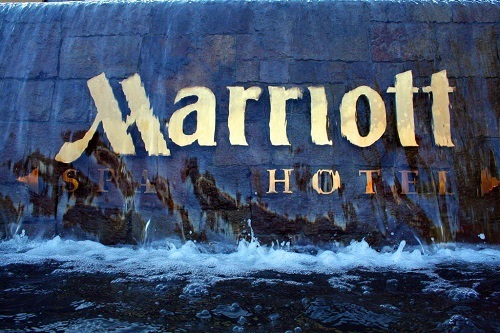 In an email to Security Now, Morales noted that Marriott's internal security detection system might not have been sophisticated enough to notice this type of attack. "Exfiltrating the data inside encryption may have been an attempt to circumvent security controls such as data loss prevent systems," Morales wrote. "Having systems watch for exfiltration like behaviors, rather than trying to inspect the data payloads can provide a way for handling this challenge. It's not yet clear exactly what tool flagged the attack but it's reasonable to believe, based upon their publish description, that it was only detected late in the attack lifecycle. Attackers generally have to make multiple steps and behaviors before they are able to steal or manipulate behaviors. Therefore, detection of these early stage behaviors is key." Marriott is working with law enforcement and security experts to investigate the incident. The company has also started emailing customers about the breach. "We deeply regret this incident happened," CEO Arne Sorenson noted in Friday's statement. "We fell short of what our guests deserve and what we expect of ourselves. We are doing everything we can to support our guests, and using lessons learned to be better moving forward." Editor's Note: This article was updated with additional comments from Vectra.